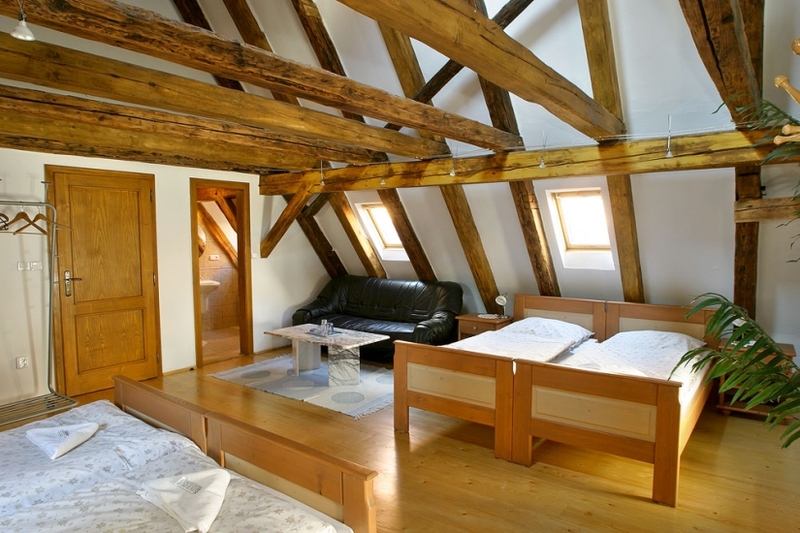 Two spacious attic suites are the pride of our hotel. 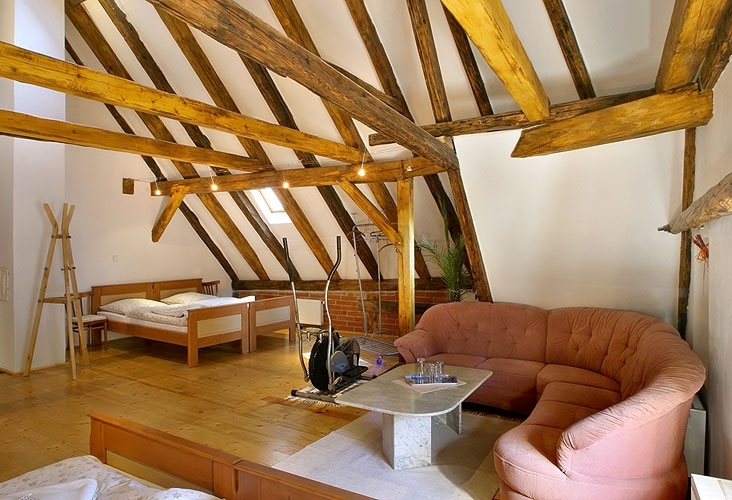 These spacious rooms feature original gothic wooden beams which have been uncovered and restored. 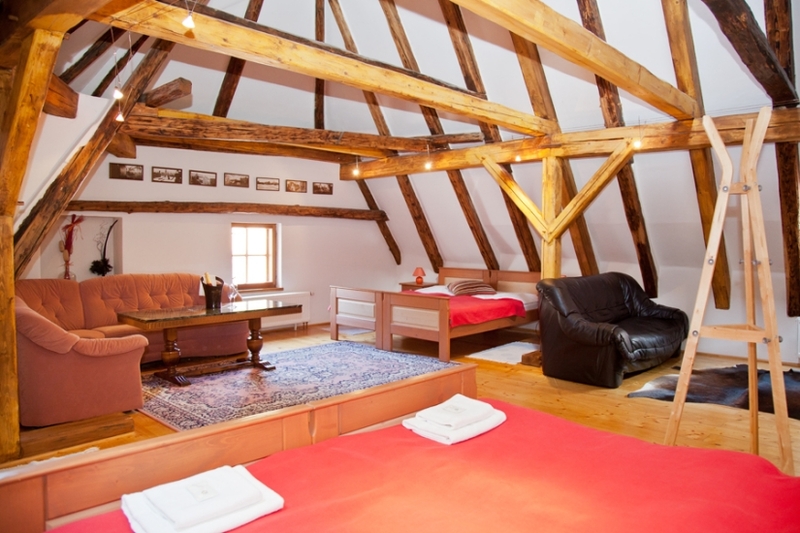 The suites can accommodate up to 4 persons each and so are a practical choice for a family or a group of friends. The suites include a relaxation seating area with TV. En suite bathrooms have a shower and a hair dryer. 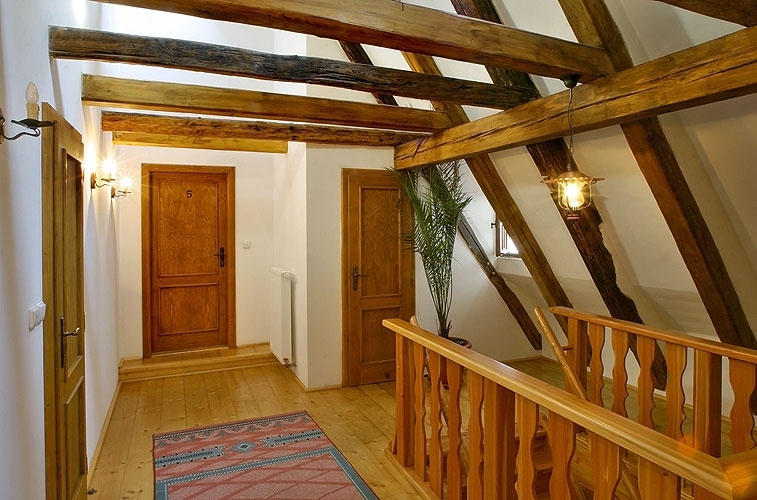 On 1st floor there are 4 double rooms with accessories, two rooms are possible with an extra bed. The bathrooms are equipped by bath or shower, toalets and hair dryer.